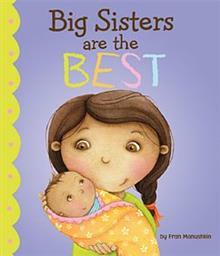 Becoming a big sister is an exciting time full of smiles smells hugs and kisses. This is the perfect book for transitioning a toddler into siblinghood. It helps young ones prepare for a new baby and also focuses on all of the things a big sister can do that a baby can't do.